I know its an old lecture but its one of my favourites. The concept of Bidah has preoccupied many Muslims and it has forced people away from the true etiquettes that Rasulullah S allallahu alaihi wa ahlihi wa salam embodied. Differences have been there from the time of Rasulullah S allallahu alaihi wa ahlihi and will always be there until end of time. We should maintain high character and lofty mannerism in approaching differences. Differences are practised by humankind generally and should not result in negative attitude and disrespect of other people. Prophet Muhammad Sallallahu alaihi wa ahlihi said differences within my Ummah community is a blessing. We cannot assume that there is only one correct way of understanding. He Sallallahu alaihi wa ahlihi instructed a group of sahaba not to pray Asr until they reach Bani Khuraizah. Sahabi’s even differed amongst themselves but respected each others differences and didn't despise one group's action from another. Their hearts were together. Arabic language- words/phrases have multiple meaning. But another scholar would not say the other is misguided/fasiq sect but will work on what he understands. Scholars accept difference in opinions. Arabic language opens doors to different understanding. Each scholar produces evidences from the Sunna based on understanding and prophetic light. The word every in Arabic carries the meaning majority and DOES NOT MEAN ALL. The Prophet (peace and blessing of Allah be upon him) and his companions understood it as not in an absolute manner. However people assume that the prophetic meaning is general and start to consider it to be a sinner. For example in the sirah about punishment of people of Hud the ayat stated .... will destroy everything.....but what was destroyed? Were the houses only of the disbelievers destroyed or the mountains and surroundings as well? If a person repeatedly listens to this hadith over and over again, he could mistakenly understand that everything that Prophet Muhammad Sallallahu alaihi wa ahlihi wassalam did not do is wrong and will lead to Hell fire, but that is NOT SO. The Sahaba (Radhi Allahu anhum) took the hadith from the mouth of Prophet Muhammad Sallallahu alaihi wa ahlihi wassalam and they also took the understanding of the hadith from him Sallallahu alaihi wa ahlihi wassalam but they also carried out innovations. In Islam , any good practise which is followed, the innovator will receive reward for the practise and from all those who practise it after him without diminishing the rewards of those who do good (Hadith). (1) A person with an act of goodness even if Prophet Muhammad Sallallahu alaihi wa ahlihi wassalam didn't do is considered praise worthy. The Sahaba (May Allah be pleased with them) took the understanding and hadith from Prophet Sallallahu alaihi wa ahlihi wassalam and continued doing good and they themselves did praiseworthy innovations, examples will be given later. What are blame worthy innovations? It is when a normal practise either daily or cultural is being incorporated to make it a religious practise. Abu Israil (R.A) A companion wanted to please Allah by way of an act of worship by not standing under a shade and vowed never to sit. When Rasulullah Sallallahu alaihi wa ahlihi wa salam knew about this, he told the companions to tell this particular sahabi to stand in the shade and to sit down. Allah in Al-Quran instructed act of goodness and the Sahaba and the later generations did many acts of goodness that Prophet Sallallahu alaihi wa ahlihi wa salam never did. 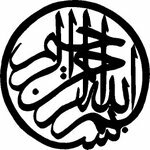 Rasulullah Sallallahu alaihi wa ahlihi wa salam sent a group of sahaba under the leadership of one companion. Through out their journey and stay this particular leader lead the prayers and always recited Surah Ikhlas in Every Salah. Yet there was NO instruction from The Prophet Sallallahu alaihi wa ahlihi wa salam . When they returned this was conveyed to Rasulullah Sallallahu alaihi wa ahlihi wa salam who questioned him why he did this. The sahabi said that it was because the Surah was about the description of the attributes of Allah Ar-Rahman The Most Merciful and the sahabah loved the surah because of this. Rasulullah Sallallahu alaihi wa ahlihi wa salam said "Tell him his love will lead him to Jannah". Rasulullah Sallallahu alaihi wa ahlihi wa salam never said that this was blameworthy innovation but encouraged such act of goodness for the love of Allah. This companion knew what was Biddah but he also knew this was an act of goodness. Likewise it is recorded in Imam Bukhari's collection of hadith that one companion prayed behind the Prophet Sallallahu alaihi wa ahlihi wa salam. Each time the Prophet came out of rukuh this sahabi would say "Hamdan Toyyiban Mubarakan Fi". After the prayer the Prophet Sallallahu alaihi wa ahlihi wa salam asked 3 times before the sahabi answered it was him who did the zikr. Rasulullah said I only asked because I saw 30 angels competing to write down the reward of your Zikr. If it was blameworthy innovation / bidah, Rasulullah Sallallahu alaihi wa ahlihi wa salam would have reprimanded it. But instead he did not and told about the rewards recorded by the angels. One companion was going to be crucified, He asked if he could pray 2 rakaat sunnah before that. He said he did it short because he didn't want the enemy to think he was afraid, otherwise he would have made a longer prayer. When this was revealed to the Prophet Sallallahu alaihi wa ahlihi wa salam, he said that the companion had done a good practise and encouraged such prayer. He did not say that the companion did Biddah. So we see that the sahabah who took the hadith and the understanding of the hadith from the mouth of the Prophet Sallallahu alaihi wa ahlihi wa salam always did goodness within the Prophetic revelation. But we don't see them doing extra rakaat of zuhr prayer, or fasting in Ramadhan for 32 days. They knew what the hadith meant. During the reign of Sayyidina Abu Bakr Radhi Allahu Anhu many huffaz died during the battle of Yammamah. Sayyidina Umar Radhi Allahu Anhu was afraid that the Quran would be lost from the Ummah. Similar incident and response with Sayyidina Uthman and Ubayy bin Kabb Radhi Allahu Anhum. All the time Sayyidina Umar Radhi Allahu Anhu stressed that this was act of goodness. Allah opened the heart of Sayyidina Abu Bakr Radhi Allahu Anhu to compile the Quran for future Ummah. It did not contradict the religion, but it facilitated people to worship Allah. Masjid Nabawi originally was made of pebbles, palm leaves, bark of palm tree and the pulpit was from the palm tree. We have changed the Masjid but it is not a blameworthy innovation, but a good one. Likewise the use of microphones during this lecture, Rasulullah Sallallahu alaihi wa ahlihi wa salam never used it. But it is an act of goodness that facilitates worship of Allah and conveyance of the message of the Deen. The beauty of this Deen is that there are many general goodness in the Light of Islam. If a person decides to read Surah Ahl Imran after Fajr everyday, someone hears about it and ask why he is doing it when Rasulullah Sallallahu alaihi wa ahlihi wa salam never did it. Al-Quran, “Whatever the prophet (pbuh) gives you take it, whatever he forbid from doing, avoid it”. Maybe sometimes what rasulullah Sallallahu alaihi wa ahlihi wa salam did not do is not a practise of his people for example eating lizard. When he Sallallahu alaihi wa ahlihi wa salam was asked why he did not eat Lizard ,he said it is not a practise of my people, but he never stopped other people from doing it, he just didn’t desire it for himself. Sayyidina Uthman bin Affan Radhi Allahu anhu, when he was the Amirul mu'minin he introduced 2 Azaans for Jumah prayers so that there is benefit for more time when he saw that there are many people who had to come for Friday Prayers. Sayyidina Uthman Radhi Allahu Anhu also introduced Labbaika wa sa'daika instead of labbaik Allah only. What he did were act of goodness. if anyone say it is bid'ah and he means good innovation, he is correct. By the statement of Al-Quran and Sunna of Prophet Sallallahu alaihi wa ahlihi wa salam the person who thinks one is astray is wrong to make that statement. Be reminded that a person who introduces good action will be rewarded for his action and will receive the reward of those who follow his good action without minimising the reward each individual receives. The Imams of this Ummah were inspired by Allah Subhanu wa Ta’ala to gather various Zikr’s and Dua’s of a certain amount and at certain times, and they noticed certain benefits and gather people to recite these Duas and Adkaar. These Imams were not contradicting the religion of Allah Subhanu wa Ta’ala. Now we say it is authentic, but what is it? It is the narration of Prophet Sallallahu alaihi wa ahlihi wa salam to facilitate the religion. If Prophet Muhammad Sallallahu alaihi wa ahlihi wa salam did an action only once, it is enough to instruct people to do that. For example Abdullah bin Abbas said he knew the congregation prayers had finished when he hears zikr in a loud manner on his way to the masjid. Condemnation opens door to Shaytan. Generations after generation for 600 to 700 years from East to West Muslims have done various kinds of practises. After generations and generations of people doing a particular practise, some people of the present time try to stop such practises. Centuries after centuries from east to West people including learned scholars have good practises. Only one scholar disagreed and thought people went astray and people nowadays start to take one scholar's opinion and behave in a certain manner. For centuries from the 13th Hijra Muslims used to pray 20 rakaah of taraweeh prayers, from Masjid Nabawi to Masjid ul-Haram and so on…. Suddenly now people are saying we should go back to do 8 Rakaah of Taraweeh. Are they trying to imply that the Fuqaha/Muhadittin/Ulama of present days are misguided and hence people are also misguided. and Allah shows falsehood as false. Any mistakes are from me and Habib Kadhim delivered a good speech and free from my mistakes. Forgive this effort of sharing the light towards a better understanding true Islam. May we all be guided. How can Muslims come into this country and live here, benefit from being here, and then curse this country and its people? Where is our thankfulness? Are we being good neighbours, good citizens as Islam asks of us? Commended the scholars and Muslim intellectuals in the West for their efforts including Sidi Yusuf Islam, Shaykh Hamza, Dr Lings, and Sidi Hasan le Gai Eaton. Highlighted some of the miracles of the Prophet, peace be upon him, including the Palaces of Sham that his blessed mother, Sayyida Amina, saw upon his birth. There was once a Christian man who read the hadith, 'Beware of the insight of the mu'min for he sees with the light of God'. On reading this, he pondered heavily upon its meaning and as he thought himself a man of God, he wondered how it was that this was the case. So one day he got up and was determined to find out more about the meaning of the hadith. He put on a cloak and turban and dressed exactly like a Muslim. Underneath his garments, he wore his cross. As a 'muslim', he then went to a Shaykh and asked him what the hadith meant, the Shaykh replied, 'I don’t know'. He then went to an Imam and asked the same question, the Imam said, 'I don’t know', the seeker then went to a Mufti, and asked him about the hadith and received the same reply. Finally, he made his way to Junaid al-Baghdadi, who said, 'I will explain to you what the hadith means, but first, you will have to remove the cross you are wearing from beneath your garments. The Christian was astounded. (He had received the answer to his question). The man said the Shahada and became Muslim. He turned to Imam Junaid, ra, and said I have one more question to ask you. ‘I asked the Shaykh, the Imam, and the Mufti the exact same question; why were they not able to tell me?’ To which Imam Junaid replied, ‘all three of them knew exactly what I knew. They could see your cross. The reason they didn’t tell you was because they also knew that I would be the one who would have the honour of making you Muslim.’ The Shaykh concluded by saying if these people were the result of the teachings of the Messenger of God, peace be upon him, then what about the teacher? To those who say we (Muslims) should leave Europe, we say: England became a Christian country in the 8th century. We were already in Europe by then. Everywhere Islam went it attracted a huge following. Many people, including many Christians, accepted the new religion. Examples are North Africa and the Visidos of Spain. Everywhere Islam spread to it revived the people and brought them to life. They expressed this in their songs. Islam never came to take away a peoples’ culture. We are not people of hatred. We are people of compassion. Have compassion towards those who have no hope in the Meeting with God. Everything that we are comes from light. In plants the green chlorophyll works in photosynthesis to create food from light. Everything, including the meat that we eat, therefore receives its energy from the visible light that God gives to the plants first. Is the Quran and Sunna not another light from Allah ta’ala? If the light needed to make our energy is important for our bodies to function then how much more important is the light of this deen for our spirits to function and prosper. Green was the Messengers’ favourite colour, peace be upon him. Green is the first colour our eyes can see in the morning and the last colour our eyes can detect before the sun sets. He was the first and the last Prophet, peace be upon him. We need to rise above this mentality, we have in the Messenger, peace be upon him, a wonderful example. When we talk about being Muslim, what does it mean? Islam should be manifest on our body; Iman on our intellect; and Ihsan on our soul. The Muslim is one from whose tongue and hand other Muslims are safe. If your knowledge doesn’t work forever – leave it. On being introduced with great praises – he cried with humility saying that it hurt him to be praised with such lofty titles, as he was not worthy of any praise especially when he was there to speak about the best of creation, peace be upon him. Don’t you wish you were the dust that he, peace be upon him, stood on; the vessel he drank from; the water that exited his body as this was not only pure but a cure? The only way to Allah is through love of the Prophet, peace be upon him, there is no other way. Even though the Prophet, peace be upon him, suffered much at the hands of the people of Taif, he, peace be upon, never complained about the people. They shouted abuse and obscenities at him and eventually took to throwing stones at him so much so that his blessed feet started to bleed. It got so bad that he, peace be upon him, couldn’t walk any longer and sat down. At this point some of them started to push him in the back in order to get him to stand up and keep walking. Habib Ali said that this would be a cruel thing to do to anybody, but to do it to a man that had come to bring you nothing but salvation is worse. Still, the blessed prophet, peace be upon him, never complained to God about anything save his own weakness and shortcomings. In this the Shaykh said were tremendous lessons for us, if we reflected. When God sent angels to destroy the city on the Prophet’s command, he, peace be upon him, said he did not want this as he hoped that from amongst their descendents there would be people who would worship the One God. If we follow these role model, we'll gain eternal happiness. All the recent discovery is a confirmation of Allah.. 'sanurihim ayatina fil afaqi wa anfusihim'.. al-afaq is what they can see in RasululLah's (peace and blessings be upon him) time.. but in our time it means the universe because we have the knowledge beyond what we can see (in term of the universe).. and the 'sin' in sanurihim it means the future ~ ie Allah will continue to show the signs in the universe and in ourselves..
Eternal happiness (felicity).. the secret lies in our souls.. it will continued to be renewed from time to time.. in death, after death and hereafter..
We can get the nafahat through attending gathering, through prayer and the qur'an. RasululLah (peace and blessings be upon him) is always in the state of happiness and radha with Allah even at Uhud when blood pouring from his face..
Allah places strength in certain things.. for eg Zamazam water.. RasululLah (peace and blessings be upon him) said.. we get what we intend for when we drink Zamzam..
Sayidinna Umar made the intention when he drinks Zamzam to release the thirst in Day of Resurrection..
off.. even though people gave him sms and called him.. he will never get it. this man alaways insult RasululLah (peace and blessings be upon him)... but it didn't affect RasululLah (peace and blessings be upon him). the son even asked for RasuluLah's cloth to cover his father.. RasululLah (peace and blessings be upon him) gave his rida' and even lead the prayer.. There's lots of hidden secrets and treasures in Rasul's adkaar, like 'La Hawla wa la quwwata illa bilLah'..
Inshallah may all these benefit everyone of us. May Allah forgive me for my mistakes in transmitting these. We should 'taste' Iman (Faith). We can read a description of Iman from a book, but can we taste it? Is Iman something physical that you can see or taste? 'if you want to see Iman, then look towards the Sahaba of the Messenger of Allah Sallallahu Alaihi Wasallam, for they are the models of Iman. He gave an analogy of somebody reading a cooking book with beautiful dishes etc, but can they taste those dishes from merely reading? Even if they were to get all the ingredients, they can't become a chef in a day. It takes training and practise, the same with a shaykh. Therefore, you can only taste Iman by being in a gathering of remembrance in the Presence of the Shuyukh. The Shaykh went through a beautiful hadith of the Prophet Sallallahu Alaihi wasallam, which describes the sweetness of Iman. He went through in detail. The Prophet, sallallahu alaihi wasallam, said: 'There are three things, only the one who has them will taste the sweetness of Iman: first, that he loves Allah and His Messenger more than any other thing'. "This morning I am a real believer." The Prophet said: "Take care of what you say: what is the reality of your belief?" He said: "I have turned myself away from this world by keeping awake at night and by keeping myself thirsty by day; and I can almost see the Throne of my Lord in full sight; and It is as though the people of the Garden of Paradise visiting each other; and the people of the Fire wailing to each other in it." The Prophet said: "O Haritha, enough, you know". The shaykh said that Haarith Ibn Malik said 'kazalika' - which means 'its as though...' --- for only the Prophet Sallallahu Alaihi Wasallam has seen Heaven and Hell in reality! He talked about Sleep. He mentioned that it’s a sin if you intend to sleep. Rather, you should let sleep overwhelm you. The Shaykh also mentioned how people take extreme measures in order to go to sleep, for example, they lie down staring at the ceiling, counting sheep and counting backwards, (very funny). The Shaykh mentioned a story of the great Imam Abu Hanifa, may Allah have mercy on him. He was once walking in the street, when he heard two people talking (can't remember if they were men or women). One of them said to the other, 'this is the man who never sleeps', pointing at the Imam. When the Imam heard this, he vowed to never sleep again. Thus it was, the great Imam never slept whilst lying down. He would let sleep overcome him and would rest for an hour or two whilst in a seated position. The shaykh talked about how we should observe silence. He said when a person speaks, he exposes himself, i.e. he/she exposes their nature, their behaviour, level of knowledge etc etc. And a person of insight can immediately tell what kind of person he/she is. Hadrat Sayyiduna Ali, may Allah ennoble his face, said 'A man is hidden under his tongue, not under his garment'. There is a science called 'Firasa' (spritual insight) and the west also has this science, the study of human behaviour (possibly psychology??? )....Therefore, one should remain silent as much as possible. The shaykh mentioned that it is very difficult for an Aalim to judge a person who is silent. Imam Abu Hanifa, when he was in his old age, was giving a private dars to his students. He would often stretch out his leg when he would get tired. The students were aware of the pain that the Imam was going through so didn't believe that the Imam was lacking adab. However, a stranger walked into the dars. He was of old age also, with beard etc. So the Imam folded up his leg for the dars and continued. He endured much pain but regardless of this, he continued with the dars in this position because he was afraid this person may be a learned scholar/Aalim and didn't want to show bad adab by stretching out his leg. It continued like this for a number of days until one day, this man asked the Imam a question. The moment this man opened his mouth to ask a question, the great Imam said O Abu Hanifa, it is time you stretch out your leg!!! In other words, when he asked the Question, the Imam was able to identify the very nature of the man, his level of knowledge, and virtually everything about him!! The shaykh then talked about presenting Islam to others but we must be strong in Iman ourselves. He said we must save ourselves before we can save others. And we must not compromise things in our religion in order to make it appear 'good' or 'beautiful'. I.e. we should present the real Islam without compromise or fear that the people will reject it. It is not our job to guide, this is from Allah Subhanu wa ta’ala. Its becoming a modern trend nowadays that people are trying to compromise things in Islam for others, e.g. if a woman reverts to Islam, then it is haram for her to live with her husband who is non-Muslim. You cannot give her the fatwa that it’s ok in order to make her feel good, which is so common in today’s society. We cannot know for sure, if we will die upon Islam or Kufr. The shaykh reminded us of the hadith where the Prophet Sallallahu Alaihi Wasallam said 'a man/woman who is religious and pious his entire life until there is between him and death an arms length and he commits kufr and ends up in the fire'.... something along these lines...'and the man who lived in kufr his entire life until there is an arms length between him and his death and he chooses the path of the people of Jannah and thus attains paradise. You cannot guarantee how your death will be. Therefore, struggle now for the attainment of this sweetness of Iman. The shaykh also talked about Zuhd, the process of divorcing yourself from the dunya, and this doesn't mean that you leave the dunya, leave your job, family etc. You continue to work with your hands but your heart is in the presence of Allah Subhanu wa ta’ala. Satan is the embezzler, he waits until you are in the prayer. Then he comes and presses F2? He waits until you have a lot, then he tries to steal it. We have contracts with everyone, neighbours, Muslims, bosses. “Am I not your Lord?” said Allah, we said, “Yes.” This covenant is in the black stone, we renew the covenant every time we pray. We will get to see the houses in heaven and hell.